Well we are back in the swing of things here and what that means is that we just had our second Mobile Technologies User Group meeting. If you didn’t come, you missed a lot but everything is good as we will talk about what was covered. First off we had Peter McDermott, a professor here at Pace University talk about Digital Literacy. First Peter talked about his online class he was teaching. Then he discussed what types of applications and programs he used to make the class more interactive. Peter said he wasn’t too big on using Blackboard to try and get his class to be more fun. Skype was the first application he discussed. Peter felt that when you get face to face interaction, that you can better communicate and make sure students have a better understanding of things covered in the online class. Next he talked about a program called Glogster. Glogster allows you to create a digital poster. What that means is that you can post videos, photos or anything else you want on your poster! That allows for better presentations and better interaction especially with online courses. This can be great if you want students to be creative when needing to present a project or just a topic. Next was a program called Tar Heel Reader. What this program does is allows you to come up with your own stories like a book. But what differentiates this from other programs is that fact that you can allow for audio recording! It’s great if you want to present a story that you have created and wanted to share and want people to read along. Again another great application to use in the classroom. Here are some other tools that were mentioned during the presentation which you can click to find out more about: DrawTo, Queeky, and Animoto. Next we had Professor Barry Morris talk about the Google Chromebook. This is a great segway to discussing other technologies out there. Professor Barry Morris found that using a Chromebook is better for people who just want to use it for Internet Browsing and using the Google applications available. 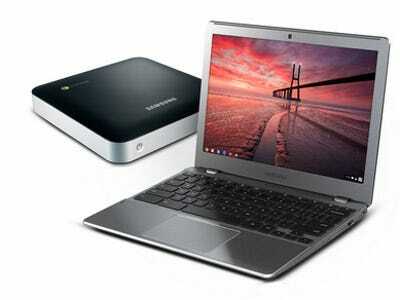 He says though that the Google Chromebook is very light to carry and that it if you are on the go type of person that this would be great for you. He himself thought that the Chromebook wasn’t sufficient enough to replace your iPad or you computers so you might want to hold up on a Chromebook. But Chromebooks are really affordable ranging from $200-$350. If you would like to discuss anything else please feel free to leave a comment below. Our next meeting will be Thursday, November 21, 2013: 3:30-4:30 pm between E319 on the NYC Campus and Miller 16 on the PLV Campus. We hope to see you there! This entry was posted in iPad meetings. Bookmark the permalink. ← Apple Spotlight: The new iOS 7!